What started as a community movement has quickly developed into one of the most popular game modes in League of Legends today. The Howling Abyss (or Murder Bridge as it’s been lovingly dubbed) features two teams of five champions battling along a single lane with no neutral territory. Champions begin play at level 3 with substantial starting gold, launching the action immediately into a pitched battle of large, drawn out team fights, instant kills and narrow escapes. 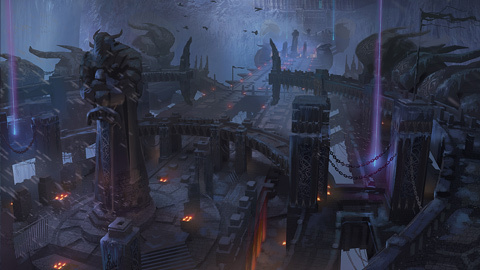 The only single-lane battlefield available in League of Legends, the Howling Abyss features two bases arranged at either end of a bridge. 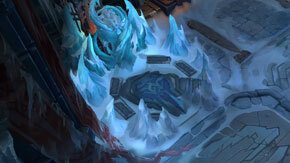 This bridge is defended by two turrets and an inhibitor, while the nexus is protected by a pair of turrets. With no neutral territory to distract from the task at hand, the Howling Abyss features some of the most frequent and intense team fights of any map. 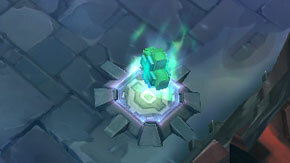 The summoner platform on the Howling Abyss provides no healing, and purchasing is strictly limited. Champions can only purchase items following in the wake of a death on the battlefield. The Recall spell is also disabled in this game mode. In the absence of a healing platform, you’ll find health relics spread across the bridge at even intervals. Once consumed these relics cause your champion to rapidly regenerate health and mana for a short period of time. With only one lane to conquer, your team’s sole inhibitor can make or break your success in a game. 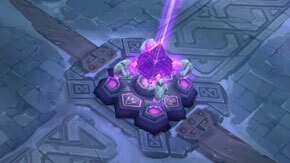 Once it goes down, the attacking team will immediately start spawning two super minions per wave. Defend your inhibitor at all costs.